Hope you all remember the Bitcoin project, the much talked about open source virtual currency project which has the potential to become the gold standard of digital currency. Now, a Google engineer has released an open source Java client for the Bitcoin peer-to-peer currency called BitcoinJ. BitCoinJ implements the native BitCoin P2P protocol, which allows BitCoinJ to maintain a wallet and send/receive transactions without needing a local copy of the official implementation. Sounds promising isnt't it? Read on. 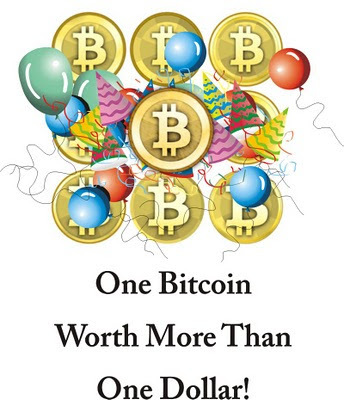 Bitcoin is an open source peer-to-peer digital currency project. Peer-to-peer (P2P) in this context means that there is no central authority to issue new money or keep track of transactions. Instead, these tasks are managed collectively by the nodes of the network. Watch the video below for a quick outlook on how Bitcoin works. BitCoinJ implements the "simplified payment verification" mode of Satoshis paper. It does not store a full copy of the block chain, rather, it stores what it needs in order to verify transactions with the aid of an untrusted peer node. According to cio.com, BitcoinJ is not an "official" Google project, but something developed in the 20 per cent of time Google allows its staff to spend on personal projects. More information can be found at BitcoinJ project page. Image and video via weusecoins.com.